Presso lo Stand Kotobukiya durante il San Diego Comic-Con 2014, sono state rivelate le illustrazioni per le prossime Bishoujo. 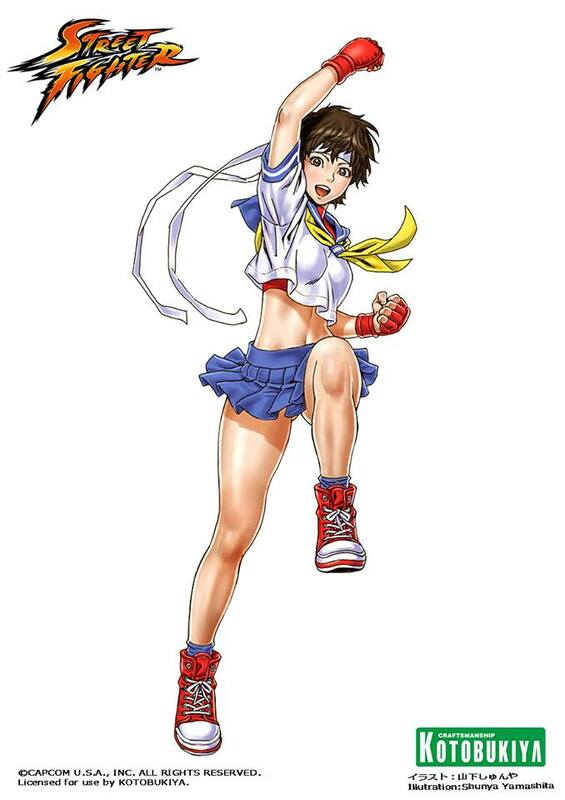 Più precisamente parliamo di Street Fighter Sakura e Tekken Tag Tournament 2 Anna Williams. 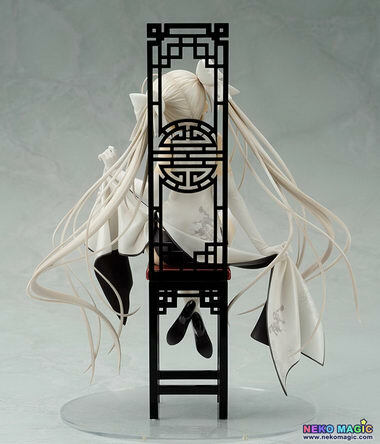 Ora la Kotobukiya le posta anche online. come sempre lo stile di Shunya Yamashita non si smentisce. Tutti gli oggetti presentati in questa pagina: Kotobukiya Bishoujo Statue sono disponibili per ordini o preordini presso la Fumetteria Inchiostro & Tempera di Napoli. Sul sito www.hackslashinc.com, Emilio Laiso ci parla della sua esperienza nel dare vita alla nuova “Cassie” ed alla collaborazione con Stefano Caselli (precedente disegnatore di Hack/Slash) e Moreci & Seeley nuovi scrittori della serie. Ecco le sue riflessioni su HACK/SLASH SON OF SAMHAIN #1 pubblicato negli USA da Image Comics. 1. What other comics work have you done since your last issue of HACK/SLASH? Emilio – After that I continued working with Michael Moreci and Steve Seeley making the fifth issue of Hoax Hunters. At the same time I started with Aspen making the miniseries Homecoming and other covers. Then, with Boom studios, I did the miniseries 3 GUNS (sequel of the series 2 GUNS, which was made into a movie) and after that I did a Robocop book for the new movie. I also started doing covers for Zenescope which still continues now. 2. What is Stefano on doing with you on HACK/SLASH SON OF SAMHAIN? How closely do you work with him? 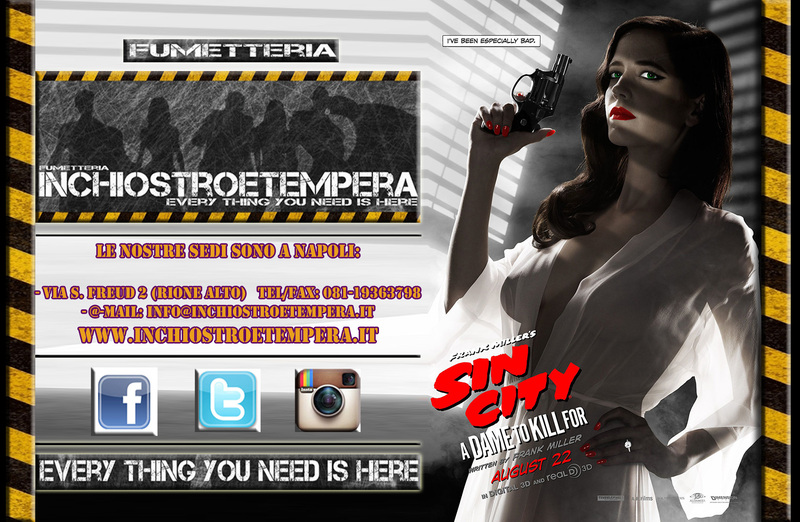 Emilio – Stefano is the Art Director. Which means that all about the artistic part is checking by him. Working with Stefano means first of all dealing with a great professional person with a lot of experience and most of all a great story maker. Actually I feel free to make the layout and the ending pages whatever I like but still there is always a healthy collaboration between us. I’m lucky cause I’ve known him for many years and working with him is always a great experience, which includes a reciprocal exchange of ideas and information, which is the soul of this job. 3. Cassie Hack has grown up a bit since your last issue. Are you enjoying the new, less overtly sexual Cassie? Emilio – If I’m having fun? I’m very happy. I don’t mind drawing Cassie with the traditional look, but when they have asked me to make a grown up Cassie I have been enthusiastic about it. I think that Cassie has always been very sensual and sexually open,with the other thousand psychological aspects of this character. Cassie is a great character to make. 4. Have you experimented with drawing digitally, or are you happy to stick with drawing on paper? Emilio – For now I’m happy to draw on the paper. I have tried the digital and i keep on doing it but as any other instrument, I think it has some advantages and some bad aspects too so for now I use it only for the beginning part of the job, for the final one (which can include some grays to make some atmosphere looks better) and most of all for the color covers. I still really enjoy using the ink but I’m still addicted to the paper. I think that having a page in your hand is an irreplaceable pleasure. 5. Who handles your original art sales? Or contact me on my fb page. 6. How does a script from Michael & Steve differ from a script from Tim? Emilio – I can not make a real comparison cause i have worked only once with a Tim script and…hey Its fantastic..his way to write is definitely clear and passionate. He is able to involve you easily in the mood of the story. The issue that i have made with him it was my first job for the American market and as a debut i could not hope to cooperate with someone better then him. I hope there will be other chances to cooperate together again and also work with his script in the future. As i said, I can not make a real comparison. There is some kind of feeling with Michael and Steve. Their scripts are clear where it is necessary and they are also free where Its possible. Its absolutely fantastic to read with calm the descriptions scenes and then run to the actions scenes where they say – Emilio, Here, you know what you have to do. I think that they are doing a great job and I’m happy every time I send the pages and see with how much enthusiasm they respond with when get them. 7. Who is your favorite Hack/Slash character to draw? Emilio – Maybe it’s obvious but Cassie is definitely my favorite character. My job is focus to express the way she feels and she is strong and weak at the same time so I have lot to work and definitely a lot of fun. Then there is Ocky that is a baby… Its a game for him and who doesn’t like to play? Tutti gli oggetti presentati in questa pagina: Comic Book USA Image sono disponibili per ordini o preordini presso la Fumetteria Inchiostro & Tempera di Napoli. 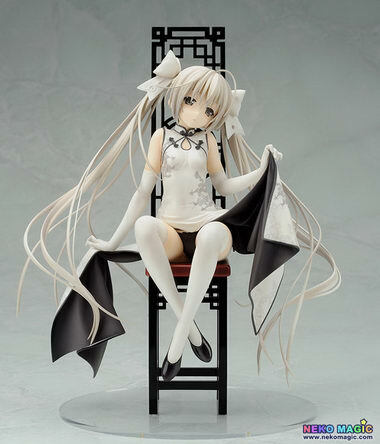 Alter presenta Kasugano Sora ( 春日野 穹 ) Cheongsam Ver. ( チャイナドレスVer.) 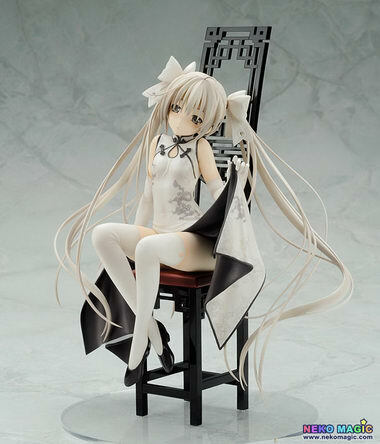 1/7 PVC figure dall’anime “Yosuga no Sora” ( ヨスガノソラ ). In uscita ad Ottobre 2014 al prezzo di13,800 yen. Tutti gli oggetti presentati in questa pagina: Kotobukiya – DC Comics Batwoman Bishoujo & Marvel Now Deadpool ARTFX+ Statues sono disponibili per ordini o preordini presso la Fumetteria Inchiostro & Tempera di Napoli. Visto in anteprima al San Diego Comic-Con. 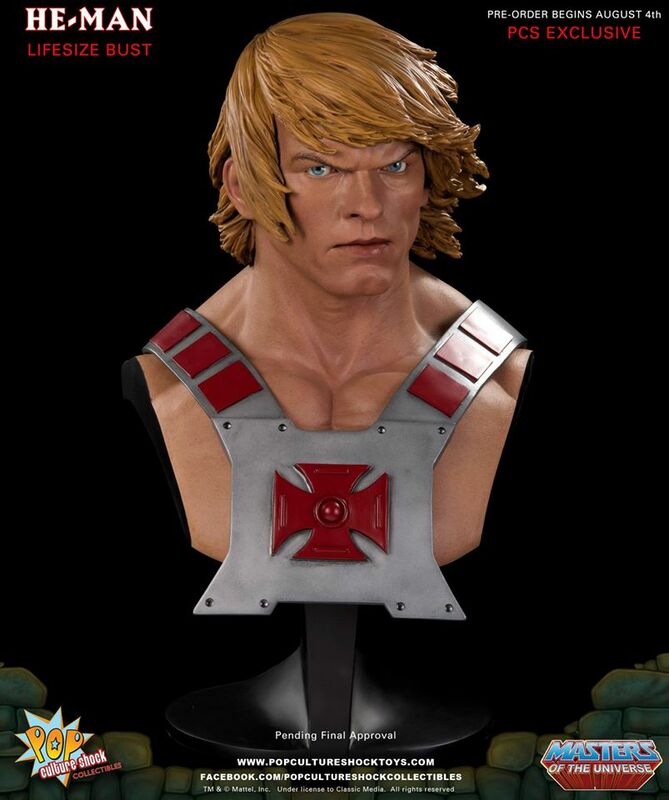 Ecco un nuovo fantastico busto dei MOTU da Pop Culture Shock. 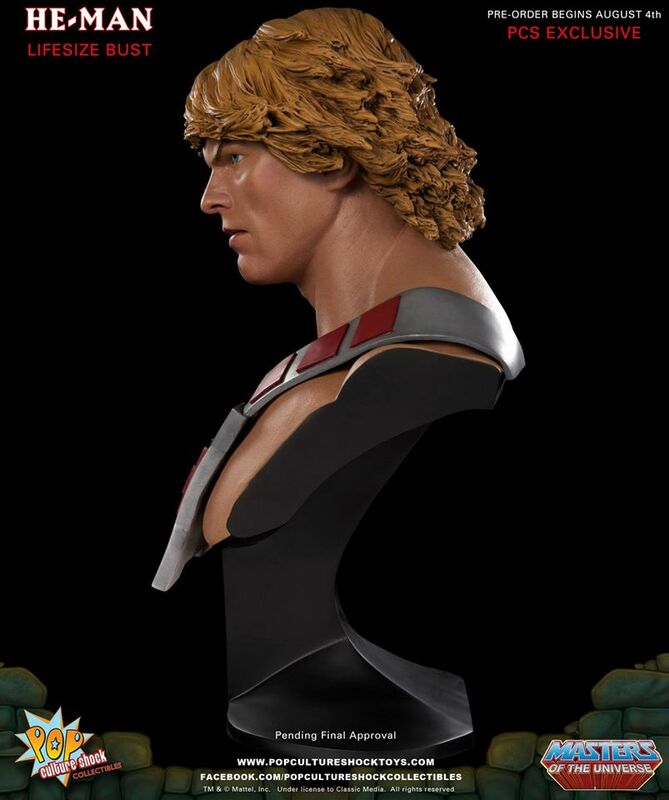 Il nuovo Masters of the Universe He-Man Life Size Bust. Preorder a partire dai primi di Agosto sul nostro sito. 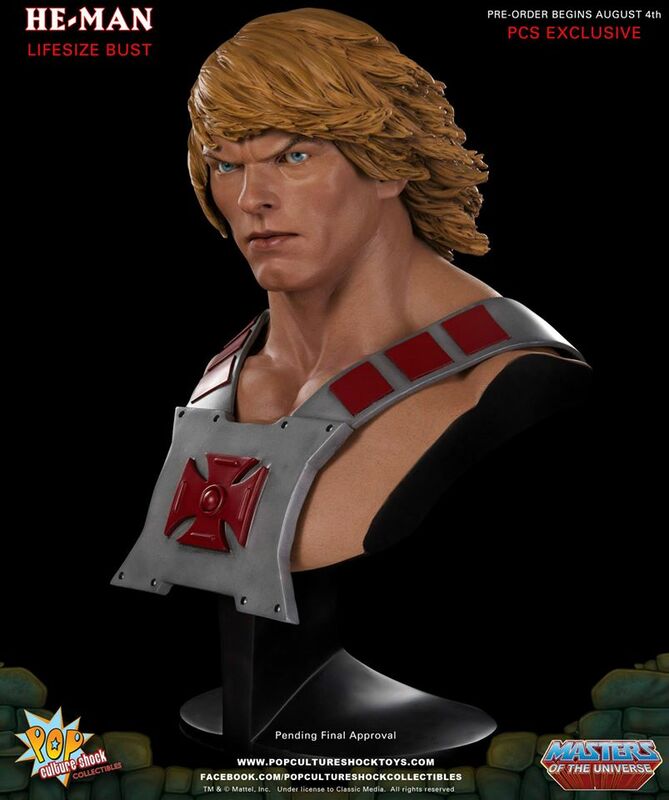 Tutti gli oggetti presentati in questa pagina: Pop Culture Shock Masters of the Universe He-Man Bust sono disponibili per ordini o preordini presso la Fumetteria Inchiostro & Tempera di Napoli. Inchiostro & Tempera e’ lieta di presentare il preorder Italiano delle nuove: F4F: Metroid Prime Echoes Samus Light Suit. F4F: Metroid Prime Echoes Samus Light Suit al prezzo di 194.99 Euro. With its sleek design and resistance to the elements of Dark Aether, the Light Suit was one of the most powerful and important tools at Samus’ disposal as she set out on a mission to destroy the Dark Dimension. The suit was powered by the Light of Aether and was the result of both Luminoth and Chozo technology. First 4 Figures is happy to present a new series of Metroid Master Arts statues, starting with the Master Arts Metroid Prime 2 Light Suit. Samus is holding her arm cannon up, ready to fire as she storms the Sky Temple to defeat the Emperor Ing. She’s been rendered at a jaw-dropping 1/4 scale to encapsulate immense power that the Light Suit holds. She towers at 20 inches tall. Comes in deluxe full color packaging, hand numbered base. Limited to 2500 pieces worldwide. Tutti gli oggetti presentati in questa pagina: F4F: Metroid Prime Echoes Samus Light Suit sono disponibili per ordini o preordini presso la Fumetteria Inchiostro & Tempera di Napoli. Inchiostro & Tempera e’ lieta di presentare il preorder Italiano delle nuove: Hot Toys – Guardians of the Galaxy Movie Masterpiece Action Figure 1/6 Star-Lord. 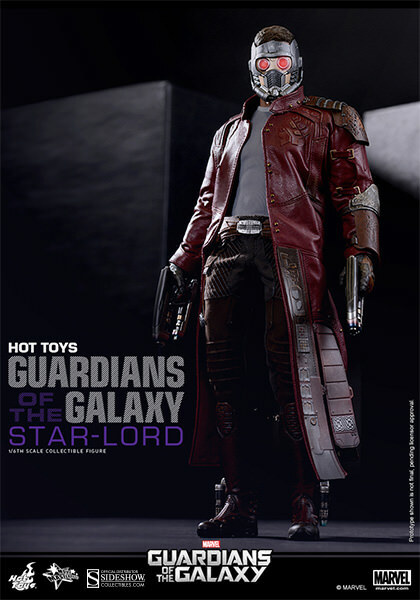 Hot Toys – Guardians of the Galaxy Movie Masterpiece Action Figure 1/6 Star-Lord al prezzo di 194.99 Euro. 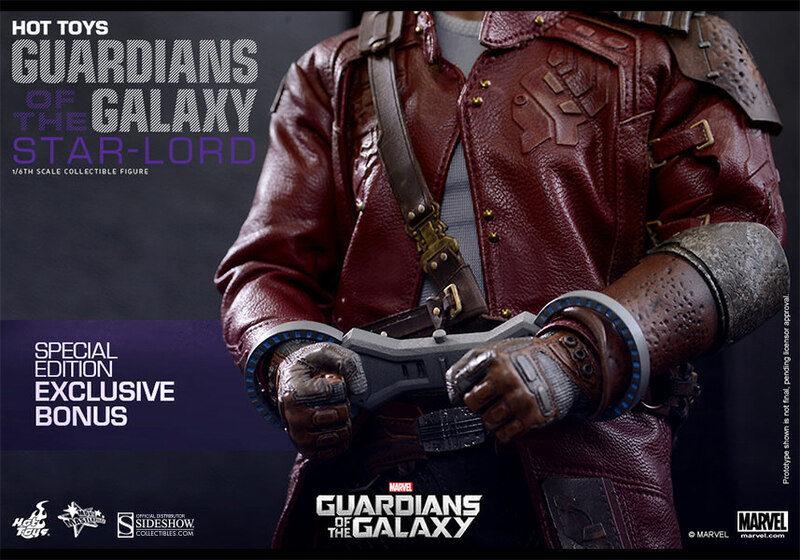 Sideshow Collectibles and Hot Toys are delighted to present the Star-Lord Sixth Scale Figure! 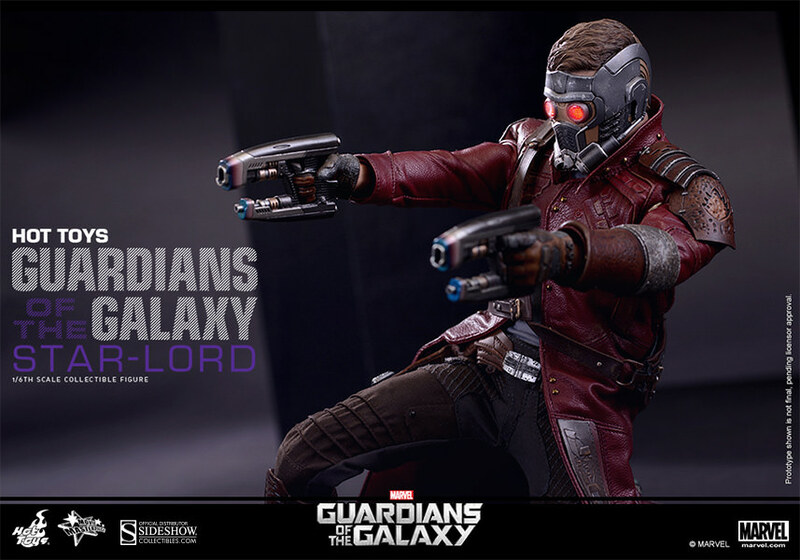 The movie-accurate Star-Lord collectible figure is specially crafted based on the image of Chris Pratt as Star-Lord. 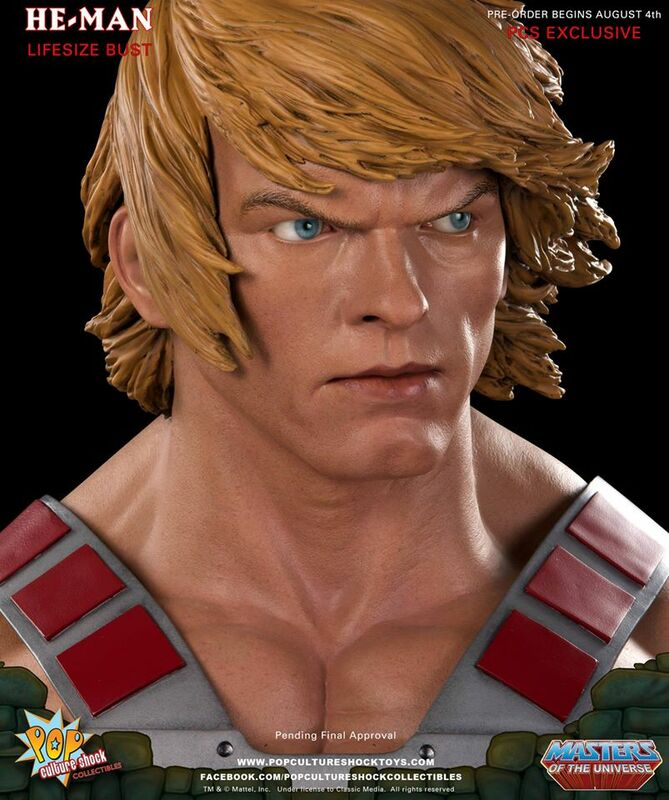 Featuring a newly developed head sculpt, an interchangeable LED light-up masked head sculpt, highly detailed costume, weapons and accessories. Born on Earth but drawn to the stars, Peter Quill became the interstellar adventurer known as Star-Lord. In the upcoming Marvel Studios film, Guardians of the Galaxy, Star-Lord must rally an unlikely team of interstellar misfits in an all-or-nothing attempt to protect the cosmos from forces of evil and destruction. Tutti gli oggetti presentati in questa pagina: Hot Toys – Guardians of the Galaxy Movie Masterpiece Action Figure 1/6 Star-Lord sono disponibili per ordini o preordini presso la Fumetteria Inchiostro & Tempera di Napoli.